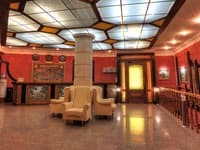 Book this aparthotel at a discount! 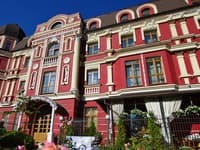 Sherborne Hotel boasts a privileged location in Kiev’s city centre, just a 10-minute walk from Khreschatyk, the city’s main street. It offers elegant rooms and apartments with self-catering facilities. 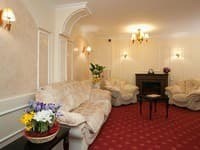 Sherborne’s air-conditioned accommodation is fitted with modern furniture. Each unit offers satellite TV with a DVD player and a minibar. High-speed internet access is also available. Guests can benefit from a 24-hour front desk and tour desk. 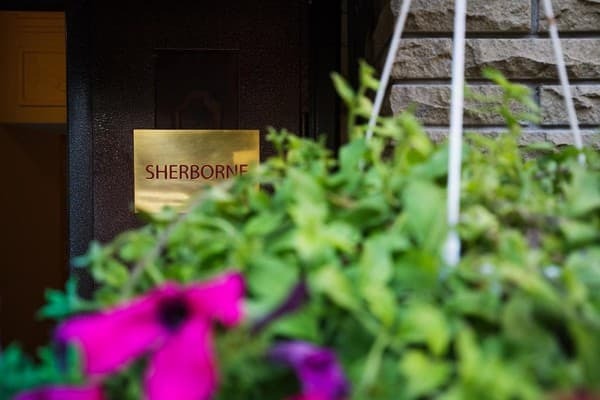 The hotel’s staff can assist with services such as airport shuttle, car rental and dry cleaning Hotel Sherborne is located only a 5-minute walk from the Arsenal’na Metro Station. Fashionable restaurants, shops and art galleries are only minutes away. 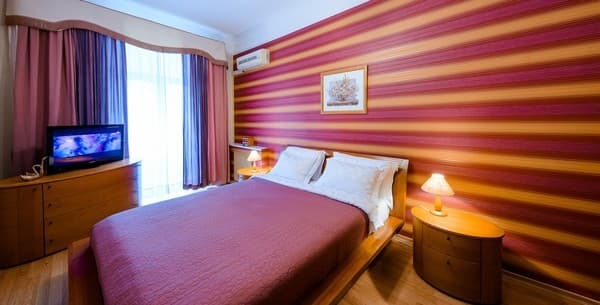 Description of the room: Studio consists of a bedroom with a double bed, kitchen and bathroom. Apartments are furnished with modern furniture and equipped with all necessary appliances. 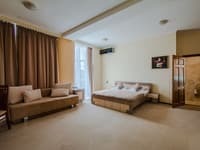 Description of the room: The apartments consist of a bedroom with a double bed, a living room with a sofa that, if necessary, be expanded and can serve as an extra bed, kitchen and bathroom. Apartments are furnished with modern furniture and equipped with all necessary appliances. 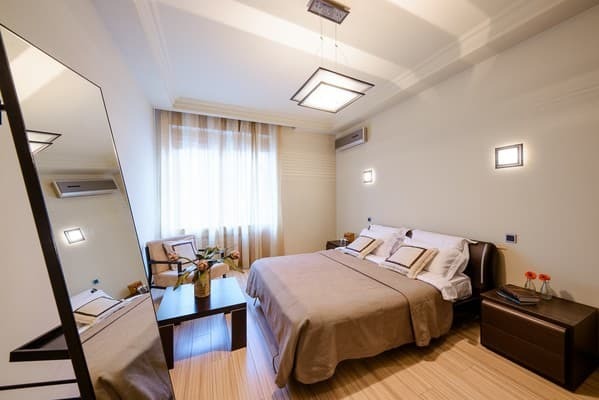 Description of the room: The apartments consist of two bedrooms each with a double bed, a living room with a sofa that, if necessary, be expanded and can serve as an extra bed, kitchen and bathroom. Apartments are furnished with modern furniture and equipped with all necessary appliances. Check arrival: from 13:00 - 24:00 hours. Check leaving: to 00:00 - 13:00 hours. For the placement of children and the use of extra beds in the form of a folding sofa no additional fee is charged. Each apartment is equipped with a kitchen. Nearby are various restaurants and cafes. 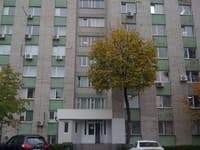 As the building is located in the courtyard, the main landmarks are as follows: Nikolsky lane is Pechersk, the nearest metro station is Arsenalnaya, Glory square, Salyut hotel. Opposite the hotel "Salyut", you need to make a turn on the street. Andrei Ivanov and the sushi bar "Eurasia" through the first arch to the right to the end of the long house. The building of the Sherborne Guest House is 5-storey, yellow in color. The nearest metro station to the hotel is Arsenalnaya.